Once again, Mercedes Benz New York fashion week delivered a motley of stunning designs at the fall 2015 showcase. I never get tired of this event and I cannot wait to experience it in real life. My nyfw debut attendance is near! Leaving my annual fashion week blues aside, let’s talk about some of the best looks from the runway shows and the trends that stood out. 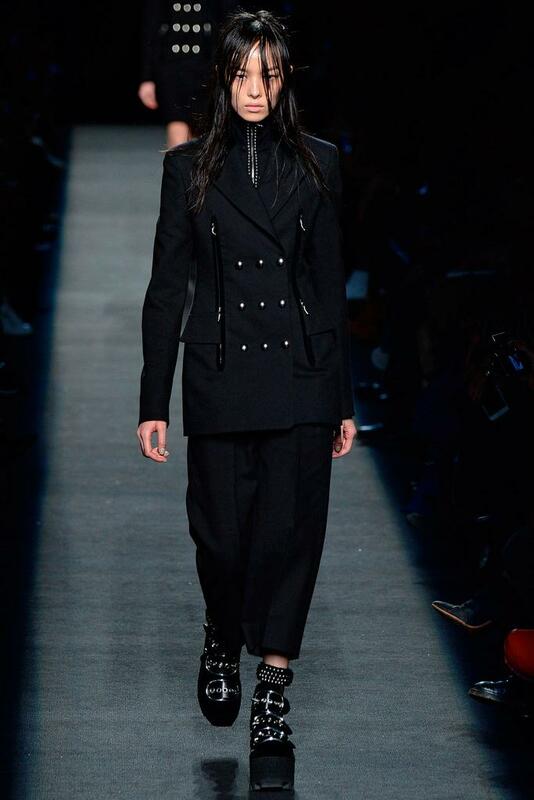 One trend that caught me instantly was tuxedo inspired vest tops and outerwear, seen at both Prabal Gurung and 3.1 Phillip Lim. Menswear influenced garments always get my fashion senses going! Vests weren’t the only “borrowed from the boys” pieces making an impact. Structured blazers and light coats, as expected for fall, were in heavy rotation in modern cuts, with chic embellishments, and feminine military touches. Electrifying prints, sharp peek-a-boo cutouts, and unconventional silhouettes with futuristic cuts seen at Prabal Gurung, Duro Olowu, and Altuzarra were also commanding the runways. To succinctly sum up my opinion, I am living for them all! To close, my favorite production is Altuzarra. 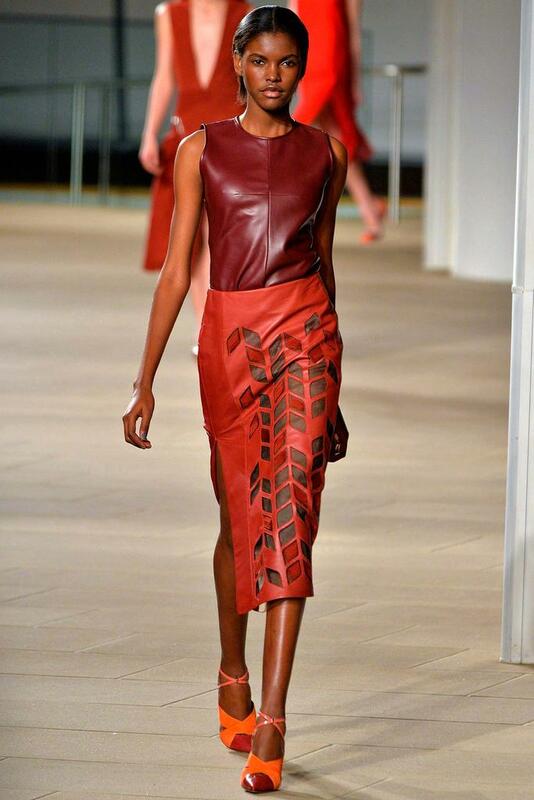 He was a favorite in last year’s “NYFW Round Up” for his spring 2015 showing and he has won me over once again. I love his mixture of femininity, with structure, and subtle edge. In this collection he reiterated his aesthetic by adding luxe furs, combat inspired lace-up boots with ruffle trimmed socks, and crisp coats and pencils skirts with loose ruffled hems. Not to be ignored is the abundance of lace and sheer: in matching skirt suits, tops, and dresses. I was equally captivated by the 18th century reminiscent high-neck collars that also give me a cowgirl vibe, as well as his use of multi-metallic toned sequins. He and Prabal Gurnung are the epitome of the quaint revolt style doctrine.